Size Height 310 mm, width 210 mm. Watermark Crossbow, form 2. Drake's identification: Watermark type 15. Drake's description: Thick crossbow 34 X 35mm. Date of earliest letter with this watermark is May 1608. 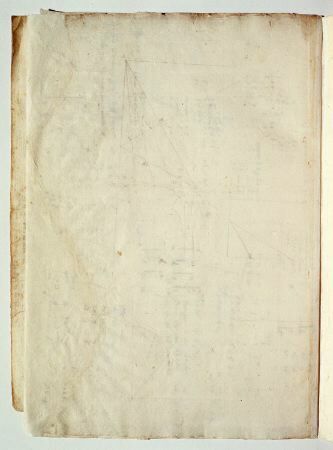 Comments The folio is part of a larger sheet of paper combining the folios 191 and 190 . Empty page.